Benard is a new member of our artisan training program. Benard is a recent high school graduate and was looking for skills training to help him improve his life. 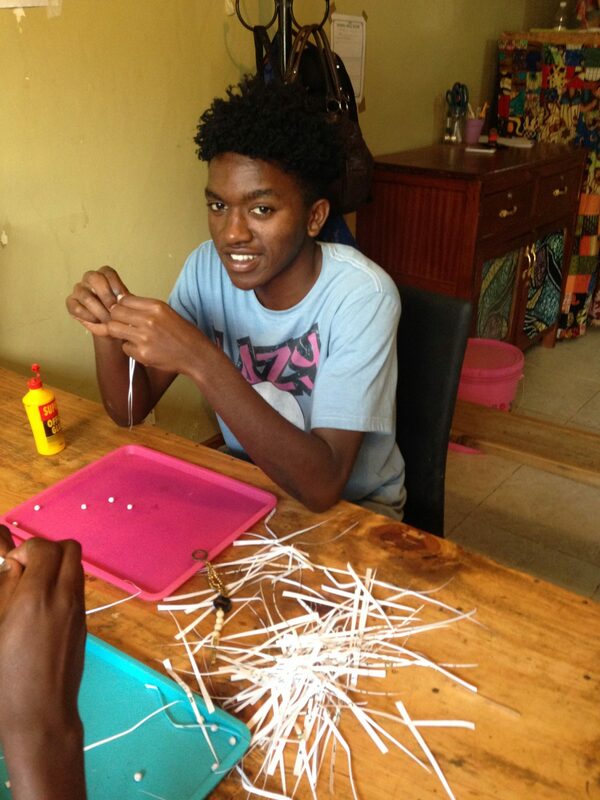 He is currently training to create paper bead jewelry, and he is able to help support his family with the money he makes.